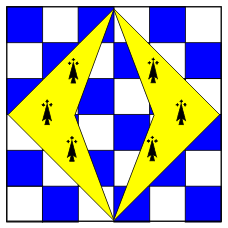 Argent, a bend checky palewise azure and argent. 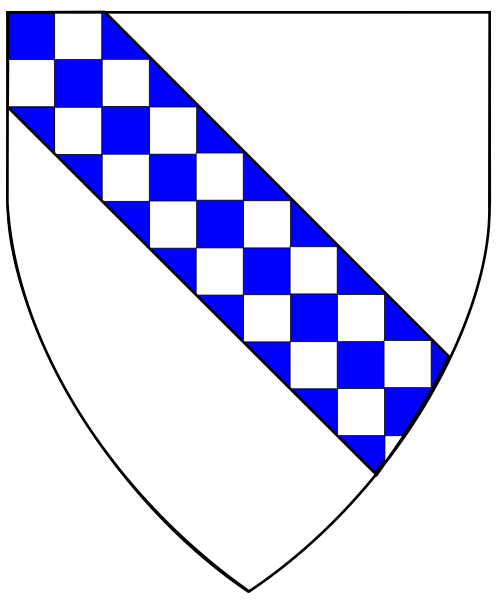 Checky azure and argent, on a lozenge throughout erminois a fusil throughout in pale of the field. Arms & Badges by Khevron Oktavii Tikhikovich Vorotnikov.